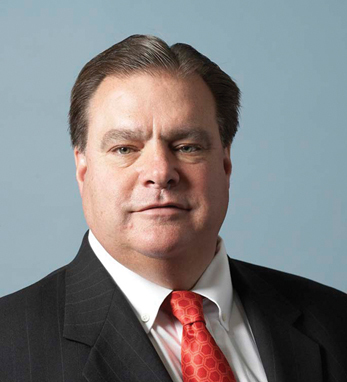 Charles P. Carey/CME Group, Inc.
Charles P. Carey is Vice Chairman CME Group, the company which formed when the Chicago Board of Trade and the Chicago Mercantile Exchange merged in July 2007. In his capacity as Chairman of the Chicago Board of Trade, a position he was appointed to in 2003, Charles and his friend Terry Duffy, Chairman of the Chicago Mercantile Exchange, were the key players behind the historic merger. Peter grew up on Chicago’s South Side but then moved to the west suburbs to attend Fenwick Franciscan High School. He transferred to Oak Park-River Forest High School to play football as a middle guard. After graduating from Western Illinois, he took a union job installing electrical conduit in the underground downtown tunnels that would become the site of the Great Chicago Flood of 1992 – not the typical route for someone aspiring to become chairman of the Chicago Board of Trade. He is a third-generation Irish-American, whose great-grandfather Simon Carey, a blacksmith, came to Chicago from County Clare. It was there he met and married Mary O’Brien from Roscommon. On his mother’s side, Peter traces his roots to County Monaghan.